Is Travelling Just a Tall Tale of The (Roman) Emperor’s New Clothes? You can’t go to Paris without seeing the Eiffel Tower. No trip to London is complete without visiting Westminster Abbey. Going to Rome isn’t the same without seeing the Colosseum. Why? Said who? There are many inhabitants who have happily spent a lifetime in these cities without setting foot inside the Colosseum, the Abbey and actively avoid being within view of the Eiffel Tower. Indeed Guy De Maupassant went so far as to have lunch every day in the Tower restaurant as it was the one place where he didn’t have to see the Tower. And this doesn’t just extend to cities and their monuments; it also includes choosing where to visit in each country. Many ‘have to’ go to Madrid if going to Spain or ‘can’t miss’ Athens if off to Greece. This isn’t to say that these places are without merit, my question is more to do with the decision making process behind visits to such places. Sometimes I feel that, much as with the Emperor’s new clothes, we are all somewhat faking it in travel. For every ‘ooh’ and ‘ahh’ there is a part of me that wonders how much this is really true or are we expressing what we feel we should be expressing. Personally I find it hard to feel great amazement for anything when I am in a crowded room, hot and bored as the guide drones on in my ear. Furthermore, the formulaic nature of visits can be as inspiring as a list of ‘must-sees’ with the accompanying box checking. There is this idea that when we travel we must all become one person. Tour groups traipse around so many museums and national monuments that they can hardly take it all in; a trip becomes about endurance rather than enjoyment. And ask these people what a highlight of their tour was and I guarantee it was none of the above. It will be a funny conversation with a local; an amazing meal or a beautiful view. And each of the highlights will be unique to each traveller, just as travelling itself is a unique experience. When we go about our daily lives we seek very different things. We don’t all go for the same people when dating and we don’t all wear the same clothes. So why do we presume that when we travel we are all going to like the same things? Trips should be tailored to the individual; holiday time is precious and should be treated as such. If you truly want the best travel experiences all you have to do is be brave. Not in the sense of jumping out of a plane, but in standing up to the guidebooks, the internet travel gurus and big travel companies. ‘Know thyself ‘ is one of the maxims of the Delphic oracle. The best trip will be the one in which you consider who you are, what makes you tick and what you enjoy doing. Therefore when you are considering your next trip, make sure you’re the person laughing at the naked emperor, not the tourist in the crowd. Lucy! 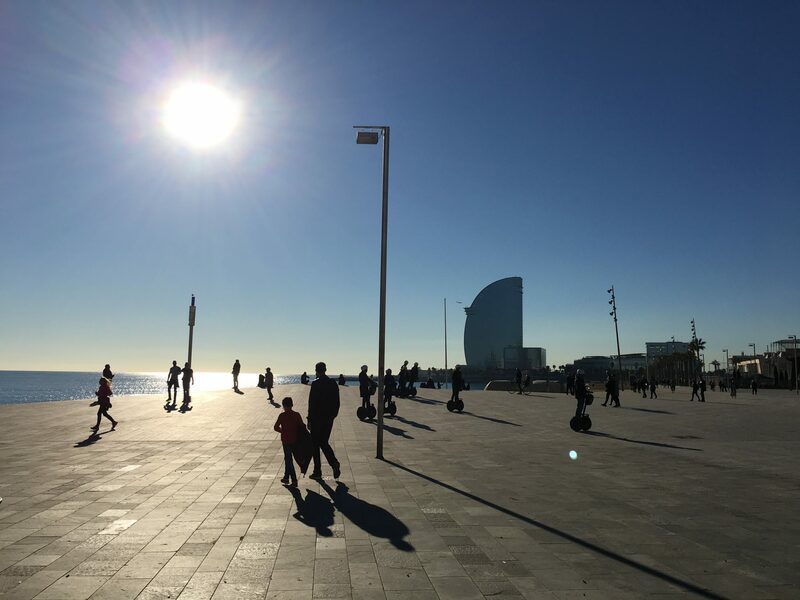 As someone who met you when I was on my first group tour in Barcelona – I have to say that I was spoiled by the experience. I would follow you anywhere. Having said that I agree that the best memories of that week were not in museums but were from the interactions with people and our witty and knowledgeable guide. Great post Lucy! So many cool experiences to be had when you ignore the guide books. Also, haven’t seen you for AGES! Let us know when you’re going to be back Chicago area or the UK. It would be great to catch up if we can co-ordinate travel schedules!